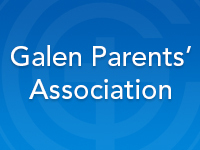 6.20pm for a 6.30 start, Tuesday 24 March in Staff room at Galen. It is a great way to socialise with other parents. We have some funds and will be making decisions about what to spend them on, so we need input from lots of parents. What areas in the school do parents think need some help? For instance, last year GPA paid for Year 9 shade sail area. This year so far, we are paying for block-out blinds in Science lab area. Come along and have your say!